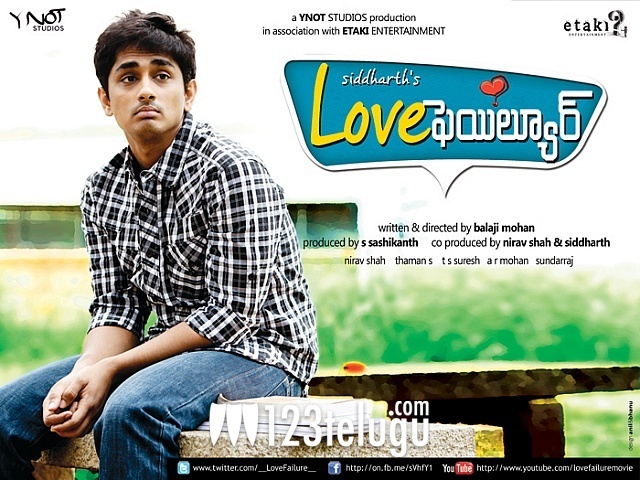 Youthful hero Siddharth’s maiden venture as a producer is the movie ‘Love Failure’. He is playing the lead role in the movie along with the talented young Amala Paul. The movie is scheduled to release in Andhra Pradesh on February 3rd, as per the latest information. Dil Raju will be presenting this movie in Telugu. Balaji Mohan is the director of this movie and he is making his debut. Thaman is the music director and the film is said to be a youthful romantic entertainer with a college backdrop. Siddharth is extremely confident about the movie and he is hoping that his maiden venture as a producer earns him success.